Hammond Model HR-40 | MOSweb Online! The HR-40 has reverberation on treble section only. 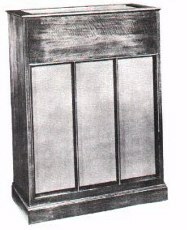 Reverberated signal cannot be fed to another tone cabinet.